How the dish is healthy? 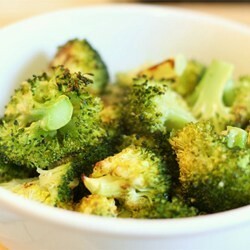 This dish is healthy because broccoli is a vegetable. And instead of using regular salt, the recipe calls for sea salt which is healthier than regular salt. Also the recipe is low in calories and fat which makes the recipe healthier.